The Lottery , one of the most terrifying stories written in the twentieth century, created a sensation when it was published in 1948. Today it is considered a classic work of short fiction, remarkable for its combination of subtle suspense and pitch-perfect descriptions of both the chilling and the mundane. 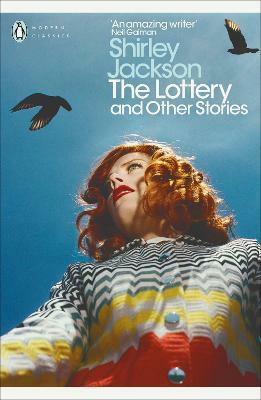 This collection, the only one to appear during Shirley Jackson's lifetime, unites The Lottery with twenty-four equally unusual stories. 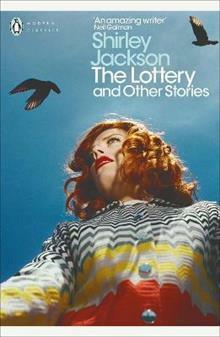 Together they demonstrate Jackson's remarkable range - encompassing the hilarious and the horrible, the unsettling and the ominous - as well as her power as a storyteller. Shirley Jackson was born in California in 1916. When her short story 'The Lottery? was first published in The New Yorker in 1948, readers were so horrified they sent her hate mail; it has since become one of the most iconic American stories of all time. Her first novel, The Road Through the Wall, was published in the same year and was followed by five more- Hangsaman, The Bird's Nest, The Sundial, The Haunting of Hill House and We Have Always Lived in the Castle, widely seen as her masterpiece. In addition to her dark, brilliant novels, she wrote lightly fictionalized magazine pieces about family life with her four children and her husband, the critic Stanley Edgar Hyman. Shirley Jackson died in her sleep in 1965 at the age of 48.